It you’re sweating, you’re doing it wrong. That’s the old adage when it comes to working on and fixing cars where everything *should* be coming apart and going back together smoothly, but isn’t. In many cases, you will find the job you are doing requires some kind of special tool to complete. Special tools have been around for ages, but there’s never been more demand for special tools when completing even basic tasks on modern European cars. Whether you drive an Audi, BMW, Mercedes-Benz, MINI, Porsche, Saab, Volkswagen, or Volvo, we have a special tools rental to help you with your next big job. Take for example a P2 Volvo S60 Ball Joint. 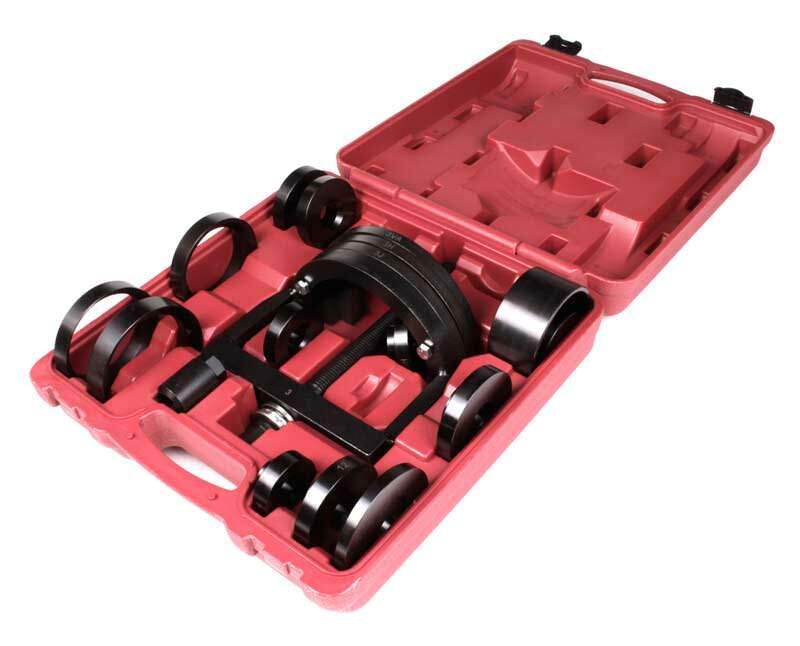 To change one of these, you need a special tool to remove the ball joint (a slide hammer with an adapter), as well as a special alignment tool and a few other things to complete the job. Without these tools, you will struggle. You’ll be tying ropes to things, you’ll have air chisels and pry bars and ball joint tools, all of which will work poorly. That’s where we come in. At eEuroparts you can rent the special tools needed for this (and hundreds of other jobs), and fly right through the task in a small fraction of the time. This Volvo special tool is required to properly seat a ball joint into the knuckle. Over the last 6 months, we’ve added tons of special tools to help DIY’ers take care of tasks that would otherwise be very complicated to do in your own garage. 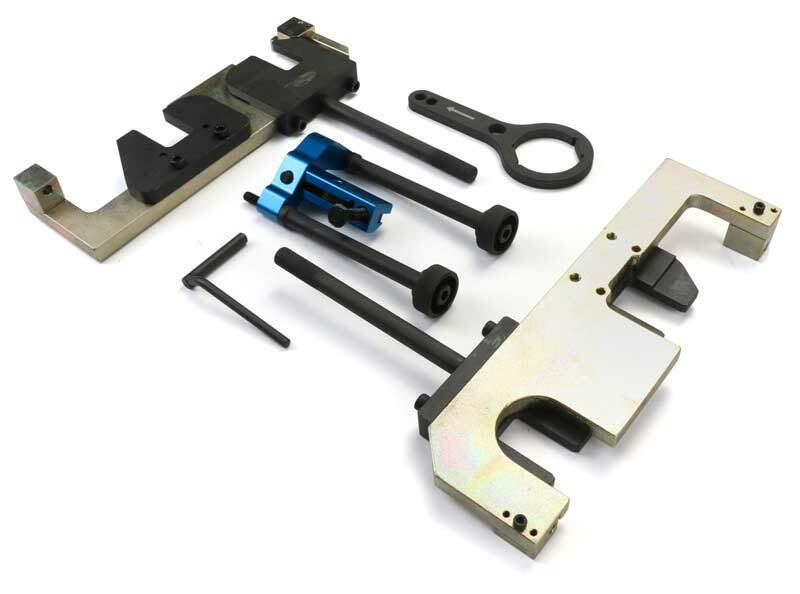 Most popular are timing/cam locking tools, crank seal installation and removal tools, and caliper retracters just to name a few. 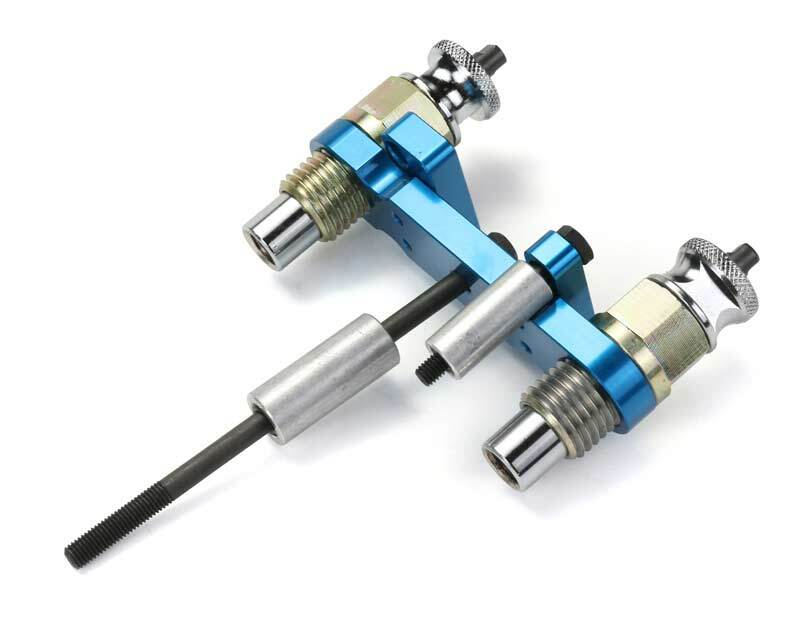 Many engines require some special timing locker tools to preserve timing when removing chains, guides, and tensioners. The electronic parking brake tool is another majorly popular rental tool, and usually ships out with brake jobs for cars that are equipped with an EPB. One cool thing with this is that the tool also releases pressure on the SBC system on Mercedes-Benz’s Sensotronic Braking Units. If you try to replace one of these units without first deactivating them with this EPB/SBC tool, you risk injury or major malfunction because the accumulators are harboring hundreds if not thousands of PSI of built up pressure. 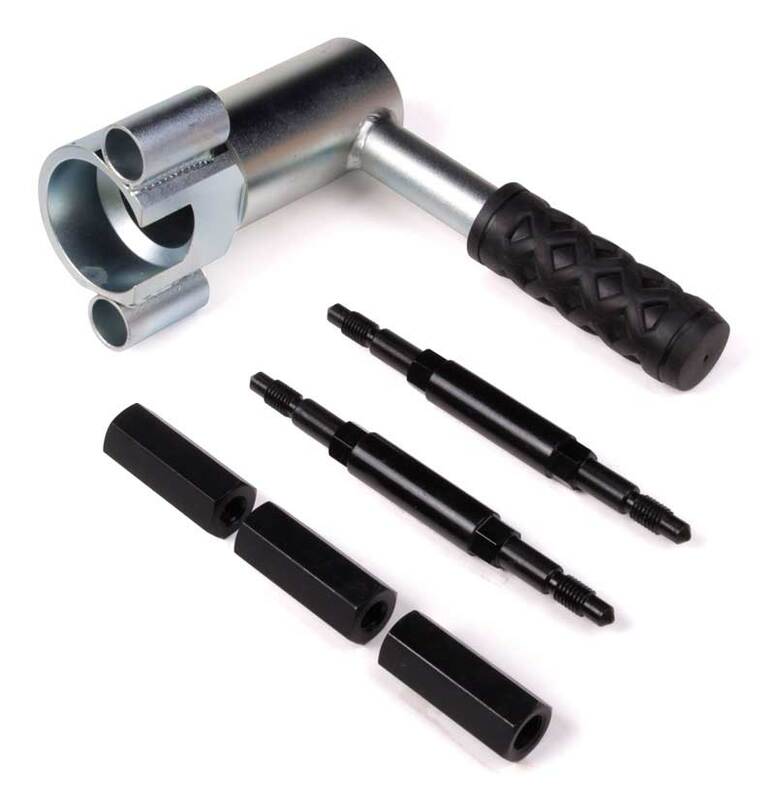 Other popular special tools are added alongside bushing orders, such as the rear sub-frame bushing tool for Mercedes-Benz and BMW cars. The price to own many of these kits is usually prohibitive to anyone except specialist independent shops, and we understand if you are doing a job once, there’s no reason you should have to permanently purchase a tool kit that can soar upwards of $500. At eEuroparts, you can rent them, use them as needed, and return them when your job is done. Each rental allows you three weeks to complete the job and ship the tool back. If you need the tool for longer you can keep it for an extended rental period. Each three week period will cost you the rental price. This extended rental fee will be deducted from your final return amount. After you’re done using the tool you can create a return through our site and ship the tool back to us. The cost for the return shipping will be deducted from your return amount. The core represents the replacement cost of the tools should you decide not to return or if the tool breaks while in your care. If you return the tool before your deadline you will receive a full refund of the core amount less any return shipping costs. If you are getting ready to do some complicated engine or suspension work, be sure to look to see if we have a tool rental available for that. 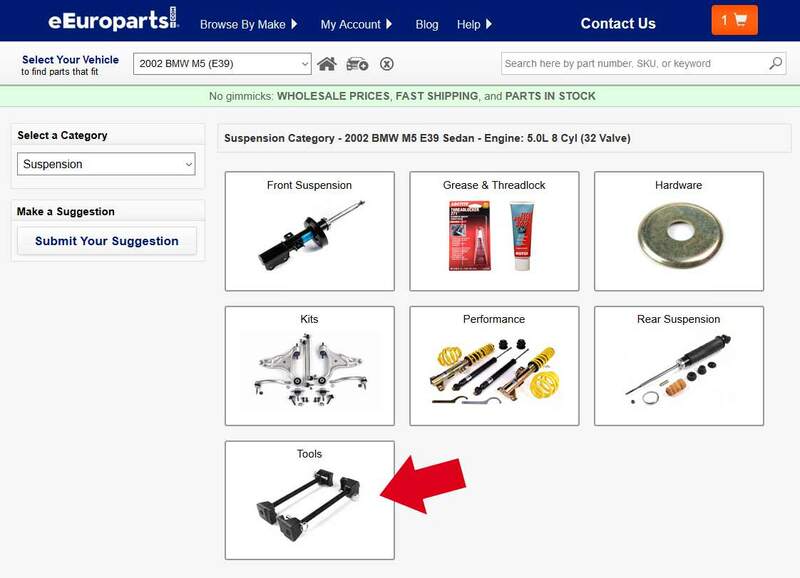 If you know of a special tool that is required for a job you are doing, and we don’t have it, contact customer service and we will do our best to make the tool available for customers buying our parts. Don’t sweat, get the right tool for the job with the eEuro special tools rental program. Shop for tools to rent [here]. Do you have the subframe bushing replacement tool for a 2001 BMW E39 station wagon please? No hurry, just gathering information.